In the midst of the 2008 Global Financial Crisis, Warren Buffet famously observed, “It’s when the tide goes out that you see who’s skinny dipping.” Buffet was reflecting on the banks and investment firms that had insufficient capital to meet their financial obligations during the great recession. Buffet’s observation applies to the ministry as well. When you stand before God’s people with Bible in hand, the tide goes out. It is in those moments when you attempt to speak on behalf of God, that all will see the veracity of your calling. For pastors, preaching and teaching God’s Word has a way of stripping us all bare; it exposes us and puts our gifting on public display. You can’t finesse your way through a sermon with polished appearance, warm people skills, or seminary credentials alone. In the moment of truth, your ability—or lack thereof—to teach and preach God’s Word reveals much about your calling. This is the way it should be because the one called to the ministry is called to a ministry of the Word. God sets him apart to teach and preach His Word. This clarifying stipulation both challenges and reassures us. Those whom God has truly called; he has truly gifted for the task. Every pastor must be gifted to teach the Word; and every qualified pastor is. In I Timothy 3:1-7, the ability to teach is the distinguishing mark between the elder and the deacon. Both are expected to be godly, but only the office of elder requires an ability to teach. 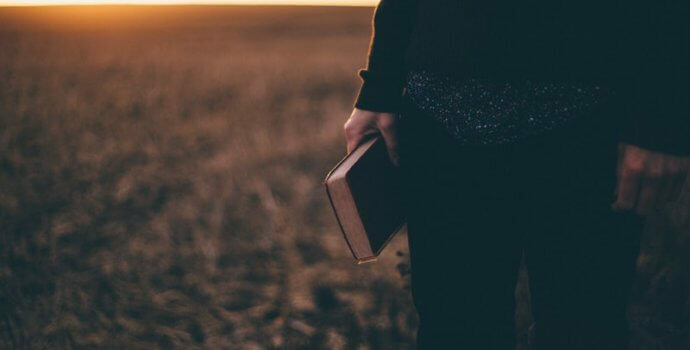 There are a thousand ways a minister can serve the church, but he has one indispensable and non-negotiable responsibility—to preach and teach the Word of God. Since the pastor’s primary duty is to preach and teach God’s word, he who would hold the office must be equal to the task. Literally, lives are at stake. The health of the church rises or falls with the pulpit. Preaching includes teaching, but teaching may or may not include preaching. Both convey biblical truth, but the latter includes public proclamation—heralding the truth of Scripture to the gathered congregation. It is interesting that the “ability to teach” is the only qualification related to the pastor’s gifting or ability. I’m struck by what God left out of this list. In addition to sterling character, the would-be pastor isn’t required to be a gifted leader, a competent manager, a creative genius, or possess a magnetic personality—all of which come in handy in ministry. There is one gift, and only one gift, the pastor must possess. He must be able to teach. Preaching is God’s divinely ordained means of communicating his Word, of nourishing his church, and of redeeming a people for himself. Other ministerial activities may compliment preaching, but no ministerial activity should displace preaching. God only had one Son, and he made him a preacher. Scripture tells us, “Jesus came preaching,” and then he sent his disciples out to preach. From the prophets of old, to Pentecost, to the end of the age, preaching is God’s appointed means to convey his message. Every preacher can readily identify with the Apostle Paul’s binding charge to Timothy, “Preach the Word.” This charge is situated at the end of Paul’s final letter to his son in the faith, Timothy, and it encapsulates the broader biblical expectation that ministers faithfully discharge their responsibilities of faithfully preaching and teaching the Word. As Paul is writing II Timothy, he knows his death is near. Christians are being persecuted. False prophets are plaguing the church. Many who named Christ as Savior have fallen away. Timothy himself is vacillating in the faith and questioning his call. Paul is writing his final letter, as the dying words of a dying man, to a distressed church and a discouraged son. In this salutary charge, he tells Timothy, “Preach the Word.” This exhortation occurs—explicitly and implicitly—throughout Scripture, but nowhere more conspicuously than here. And it appears with added momentum, because of its context in this book, and in the lives of Paul, Timothy, and the church. There is a degree of narrowing earnestness, of focused deliberateness from Paul to Timothy, to us. In II Timothy 3, Paul documents the catastrophic effects of man’s sinfulness and presents the ministerial antidote—preaching God’s Word—which is inspired, inerrant, authoritative, and sufficient. We are called to “Preach the Word” because the days are evil, and the Scriptures are powerful. For preachers, II Timothy 4:2 has a certain romance to it—a magnetic pull, calling us back again and again and again to our central responsibility. The call to preach—in light of so many problems in the society and the church—appears simplistic, but those are God’s instructions. To preach means “to herald, to lift up one’s voice, to proclaim.” It is to speak boldly, even loudly, without fear, and to make truth known. Again, there is simplicity in Paul’s charge, “Preach the Word” There is a beautiful simplicity, an unmistakable clarity to this instruction. There is no need to clarify which word, or whose word. Rather, we are called to preach the Word—God’s Word. In fact, the premise of preaching the Word is built upon the entire canon of Scripture, and it roars throughout this book. If you are not convinced of Scripture—its truthfulness, authority, relevance, and power—then you will be disinclined to preach the Word. You may look to it for sermon points because that is what evangelical preachers are to do, but you’ll never let the Word be the point and points of your sermon. While a quick wit, booming voice, and strong self-presentation are helpful elements, the key ingredients of faithful preaching should be preset. Faithful preaching has two essential ingredients, and he that is called to preach should cultivate both. These two components are study of the Word and proclamation of the Word. To emphasize either to the de-emphasis of the other is error. Here we must maintain intentional balance. Some more naturally enjoy the process of preparing sermons. They enjoy digging into the text of Scripture, rightly interpreting it, constructing an exegetical outline and stitching together a sermon. This is good, and no one should enter ministry without intending to delve into the text. Others more naturally enjoy presentation. The act of preaching itself animates them. They enjoy delivering the goods to God’s people. Great preachers excel at both, and you should cultivate both strengths in your own ministry. Martyn Lloyd-Jones famously observed that preaching is “the highest, the greatest, and the most glorious calling to which one can ever be called.” In fact, it is too high and too glorious of a calling for just anyone to preach just anything for just any reason in just any way. Like any other ability, teaching and preaching God’s Word is an acquired skill. Gifted by the Spirit of God, yes. But practice makes perfect, and it might take quite some time to clarify your gifting to preach. Don’t expect to sound like a veteran preacher your first time in the pulpit. In fact, you may not ever become an accomplished preacher. Seminaries can grant a degree and churches can hire a pastor, but only God can make a preacher. Preaching is to be done by a man, called of God, who is compelled to herald the Bible with full conviction and faithful interpretation. The Bible details many character expectations of the pastor, but there is only one gift he must have—he must be able to preach and teach the Word of God. C. H. Spurgeon, Autobiography, Volume 1: The Early Years (London: Banner of Truth, 1962), v.
 Martyn Lloyd-Jones, Preaching and Preachers (Grand Rapids, MI: Zondervan, 1972), 9. Dr. Allen, Thank you for the encouraging reminder. I often fall to discouragement because of the pressure Christian culture puts on pastors to be a “gifted leader” having all the leadership skills of a successful corporate CEO. It is refreshing to be reminded that while developing organizational, administrative and leadership skills are helpful, the only gift required is the gift of teaching.